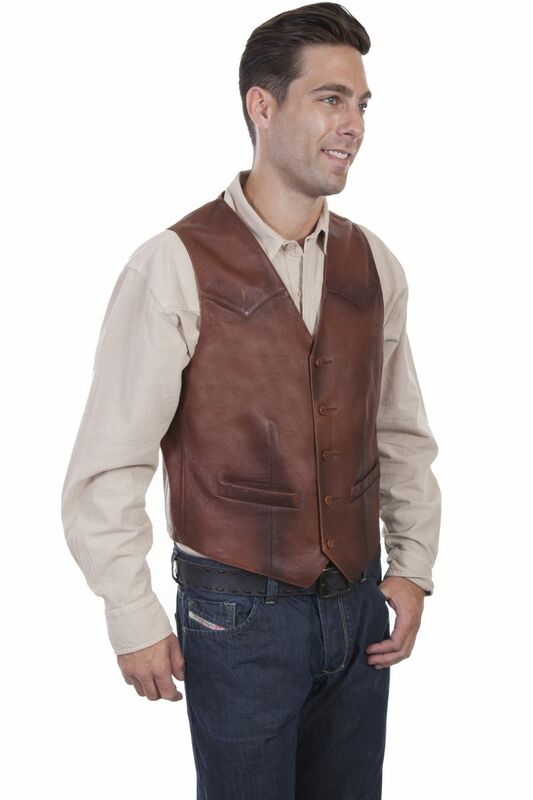 Leather vest. 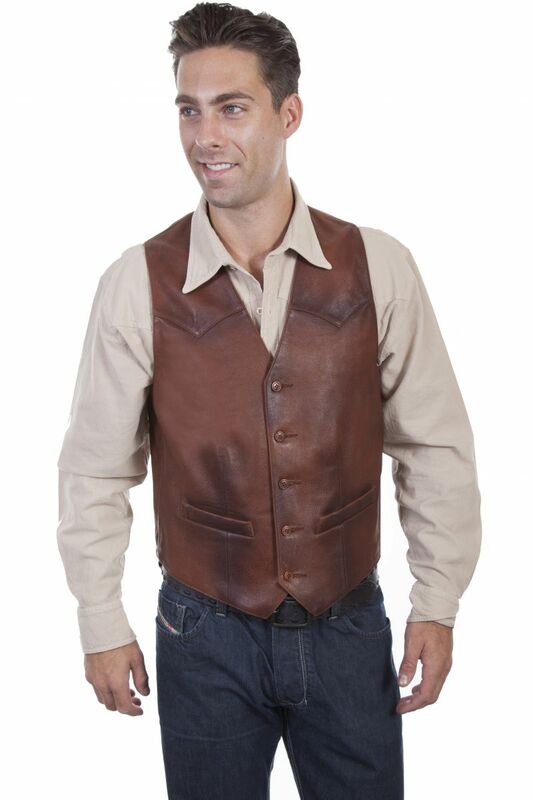 This classic western vest features a two tone effect on yokes and seams. 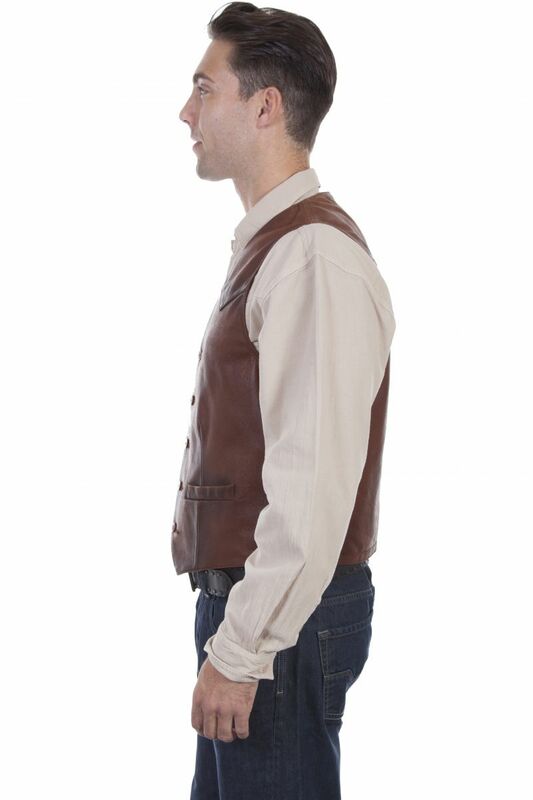 It has a five button closure and two lower welt pockets. 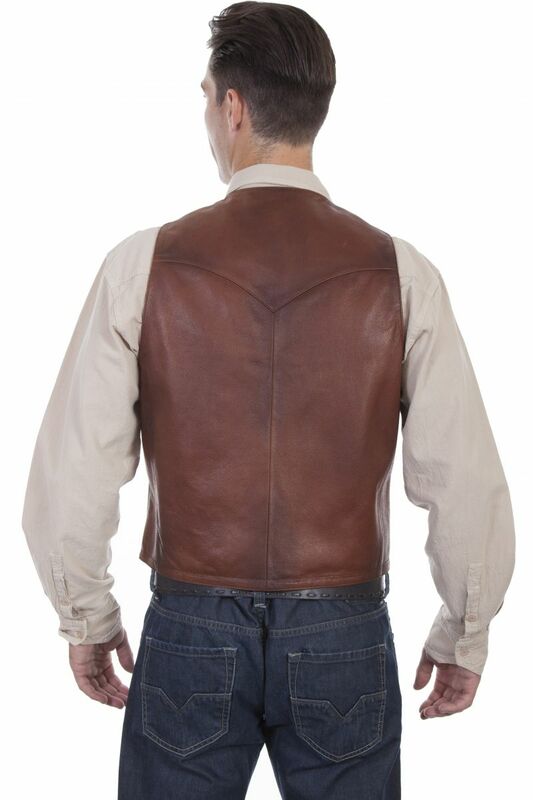 Lined and has an inside pocket. Import.